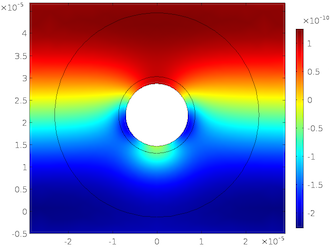 Learn advantages and strategies for using the boundary element method (BEM) for acoustics modeling. 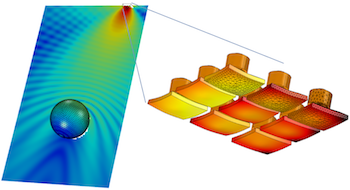 Plus, we go over a hybrid approach that combines BEM with the finite element method (FEM). This past July, I had the pleasure of attending the 22nd International Congress on Sound and Vibration. In addition to running the COMSOL vendor booth with my Italian colleague Gabriele, I was also a presenter at the event. 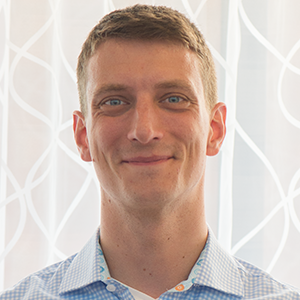 My presentation was based on a paper I wrote with Henrik Bruus and Jonas Karlsen that focuses on how to determine acoustic radiation forces including thermoviscous effects. Let’s explore acoustophoretic effects in greater detail and the research findings highlighted in my presentation. I recently had the pleasure of preparing a small contribution to the 166th Meeting of the Acoustical Society of America (Fall 2013) together with Wade Conklin and Jordan Schultz from Knowles Electronics. Wade presented our paper entitled “Characterization of a microelectromechanical microphone using the finite element method”. 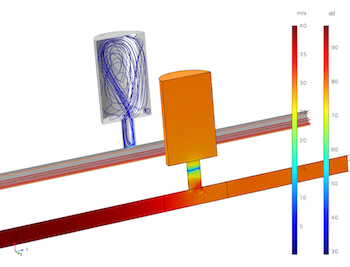 The work consisted of implementing a virtual prototype of a Knowles MEMS microphone (the SPU0409LE5H microphone, see picture below) using COMSOL Multiphysics. 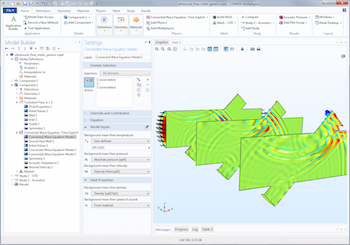 COMSOL Multiphysics version 5.2 introduced a number of new features and functionality, including an acoustics-specific plot type called the Octave Band plot. 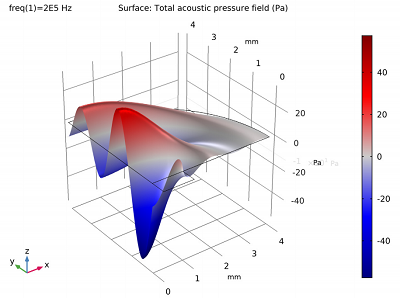 This plot type provides you with an easy and flexible way to represent any frequency response, transfer function, sensitivity curve, transmission loss, or insertion loss — all of which are essential plots in many acoustics applications. Let’s learn a bit more about the Octave Band plot, while highlighting its various options and settings. When inside a room — a conference room, concert hall, or even a car — everyone has an opinion of when the “acoustics” are good or bad. 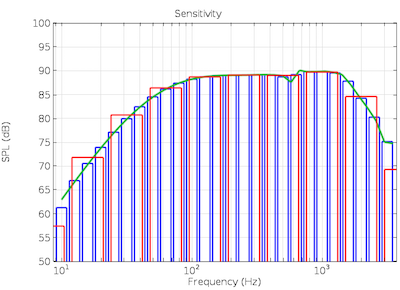 In room acoustics, we want to study this notion of sound quality in a quantitative way. 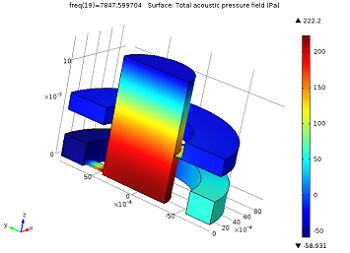 In short, room acoustics is concerned with assessing the acoustics of enclosed spaces. 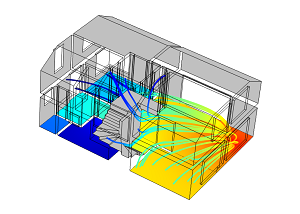 The Acoustics Module of COMSOL Multiphysics has several tools to simulate the acoustics of rooms and other confined spaces. I will present those here. When sound propagates in structures and geometries with small dimensions, the sound waves become attenuated because of thermal and viscous losses. More specifically, the losses occur in the acoustic thermal and viscous boundary layers near the walls. 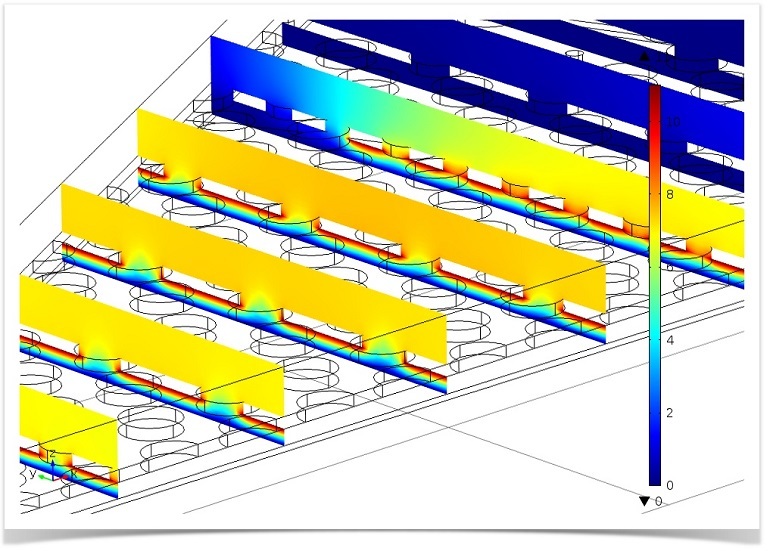 This known phenomenon needs to be considered to evaluate how these losses affect thermoviscous acoustics systems in order to build accurate models and match experimental measurements.